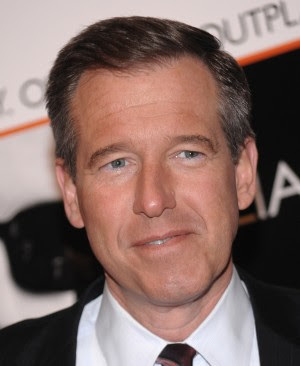 It could very well be that this thing has been around for a while, but I recently caught a promo for NBC Nightly News with Brian Williams that more or less was another confirmation that perhaps it is time to retire the old news gathering empires to let them make way for the new. 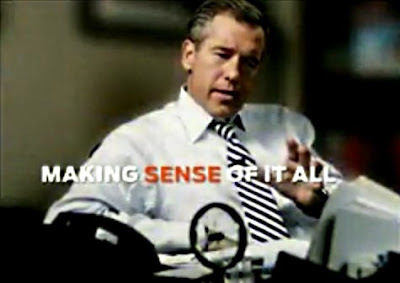 The promo has the tagline "Making Sense Of It", to which Mr. Williams very forcefully says, "That's our job." Make no mistake. The underlying reason for this kind of PR approach is to give license to Mr. Williams & Co. to pontificate. They are slyly letting you know that this is what they do, and it is what they are going to do, it is what they want to do. It means they want to give you a little bit of information, and then provide you their opinion as to 'what it all means.' So they cloak this desire to gasbag about things under the solemn guise of helping us make sense of it all. Let's be clear: News organizations such as NBC, ABC, FOX, CBS, Time, Newsweek, etc. are all now in the business of disseminating opinion, about everything. Everybody now is a movie critic, except only they're a political critic, an environmental critic, legal critic, a Presidential critic, a political party critic and so on. Think of it this way: a movie critic would go to a movie and then, based on what he knew about the screenwriter, the director, the editing process, and how actors go about a role, form an opinion as to whether they had succeeded based on the standards the critic had created for him or herself. In a movie review there is very little "reporting" done: you just watch the thing, throw in a few facts you have at your disposal, and then form an "opinion." Today, everybody, as the old adage goes, is a critic. About everything. We are awash - no, floating, drowning, floundering -- in opinion. It's cheap, easy and fun. You don't have to do a lot of work. You can do all your writing at your desk and just throw in a little b-roll. So now maybe its time for the old guard to go. As far as NBC News goes, I don't see any Frank Blair's or Chet Huntley's or David Brinkley's or Irving R. Levine's around. I see people who I guarantee you spend more time reading the latest blogs (where most of today's real reporting is done), Tweeting, watching YouTube or working out in the gym than doing any actual reporting. To NBC News, your job is not to make sense of things for me. It is to tell me what facts I need to know about the world, and then let me figure it out for myself.